The interiors of the Koch Cabinets are surfaced with a Maple grained print that resists most stains, scuffs, and mars. 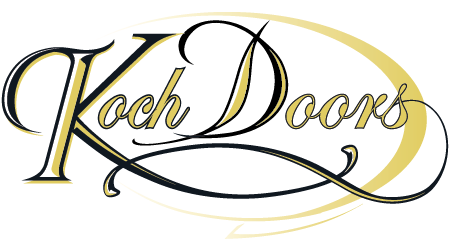 Koch hardwood exteriors have a high quality finish on the wood that brings out its full beauty. We recommend cleaning the interior and exterior of your cabinets once a month with a clean damp sponge or cloth. If a spill occurs, it is important to clean up the spill and dry the surface right away. A spill left unattended will soak through the Maple print and cause damage. We do not recommend using paper towels because of their abrasiveness. To remove food residue or grease, use clean suds with a mild soap and water mixture. Do not use cleaners that have any abrasive additive, bleach or ammonia. These cleaners will cause damage to your cabinet finish. Dishcloths used for other cleaning should never be used as they could contain remnants of harsh chemicals or grease. Following cleaning, wipe all excess moisture off the cabinet fronts and door backs. The most common form of damage done to cabinetry during normal maintenance is over scrubbing of the finishes, especially the edge profiles. Excess moisture can damage any cabinet finish. Areas near the sink, dishwasher, range, oven and baseboards are the most susceptible. Keep these areas dry. 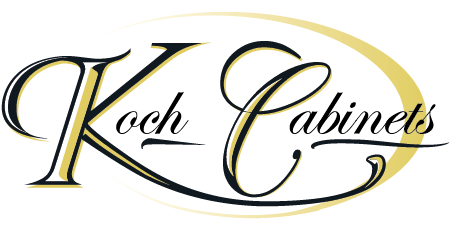 Koch cabinets have a high quality varnish finish and waxing is not necessary. Furniture polish may be used if waxing is preferred. Make sure to wipe off any excess polish to avoid build-up. Colors of all products change as they age. Various wood species will react in different ways depending on their exposure to the sun as well as the environment they are located in. For instance Cherry darkens with age and becomes more red, while White, Pearl and Vanilla will have a tendency to acquire a slightly more amber coloring. Colored paints and clears may become slightly duller. We use high quality coatings and woods to diminish these reactions and proper care and conditions in the home will also be beneficial. If replacement parts or additional cabinetry is needed, more than a year after original purchase, a sample stain block from the original job should be sent in. It will NEVER be possible to perfectly match new cherry with old. All finishes are glossier when freshly finished. The gloss level will tone down after approximately 6 months, depending on the environmental exposure. Door backs will not be finished to the same level of artistic detail as the front. They will have the same blending color and durability as the front of the door. Please have door samples for your customers to view.